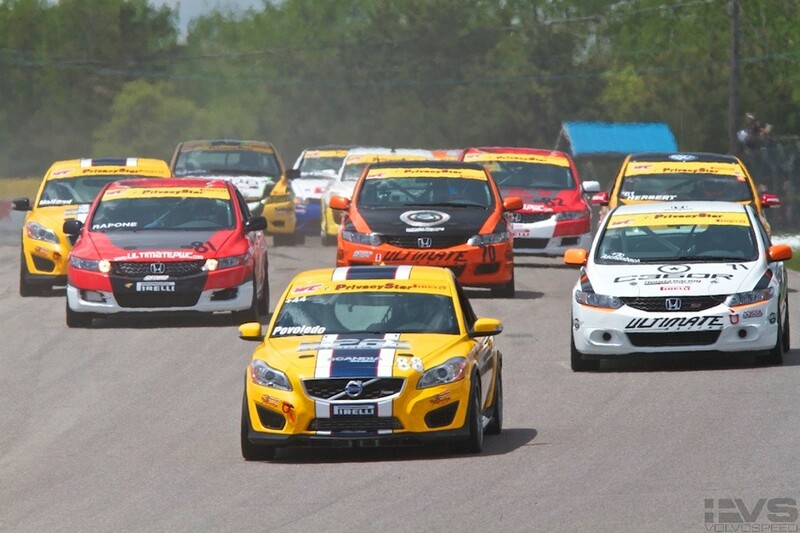 Bowmanville, Ontario, CANADA (May 22, 2011) – K-PAX Racing’s Aaron Povoledo’s charge to the front of the Touring Car field was cut short when a multi-car accident late in the race led to a caution period that covered the conclusion of Sunday’s Pirelli World Challenge race at the Pirelli Grand Prix of Mosport Victoria Day SpeedFest Presented by Optima Batteries. He finished fifth. After a dramatic run to the pole during the morning qualifying session, Aaron was penalized with a stop and go penalty on lap three for moving before the start. The penalty put him a lap down, but the Toronto, Ont. racer soon gained the lap back and was picking up positions in the number 88 K-PAX Racing Volvo C30 when the caution flag came out. Bowmanville, Ontario, CANADA (May 21, 2011) – K-PAX Racing’s Aaron Povoledo secured his second straight podium result by finishing third in Touring Car in Saturday’s Pirelli World Challenge race at the Pirelli Grand Prix of Mosport Victoria Day SpeedFest Presented by Optima Batteries. Under sunny skies and warm conditions, the Toronto, Ont. 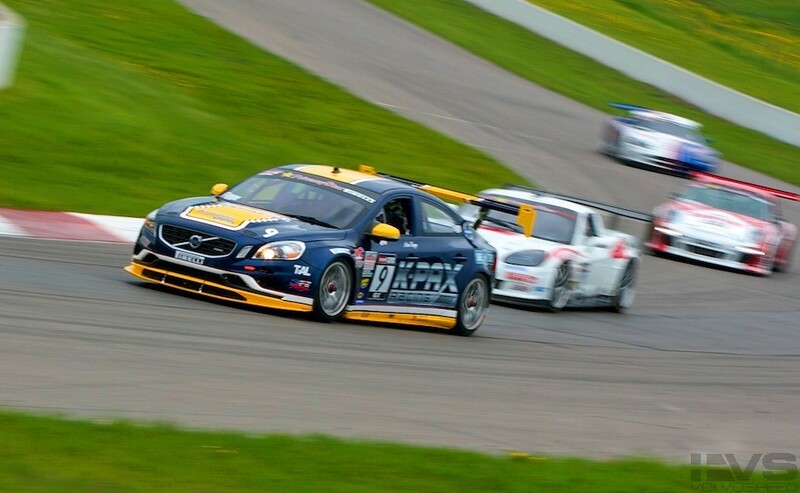 native started on the pole in the number 88 K-PAX Racing Volvo C30 and led for most of the race, before being passed by the Honda Civic of Lawson Aschenbach going through turn 10 on lap 22. Aaron held second position until the final lap when he was passed by Anthony Rapone’s Honda Civic and finished third. “Racing with Lawson is always good. He’s a good, hard, fair, clean driver. His pass for the lead going into (turn) 10 was fair play. He had a lot more car and I was doing my best to keep it on the road at that point. He really just motored on by and I knew it was coming. When we went back to green, the rate at which he scooted right up and started coming for it, I was like ‘he pulled the trigger’. He’s been hanging back enjoying the show and now it’s his time to go and he just checked out. I think the Hondas finally showed us what they really have,” Aaron said.